A travel to Jordan immediately evokes the Arabian Nights, visions of camels, deserts and Bedouins, But the reality is that the Hashemite Kingdom has many other attractions to trump this. Whilst most people make a vacation package to Jordan in search of its rich historical heritage, represented by Jerash, Madaba or the famous hidden city of Petra, the country also preserves true natural gems that enjoy excellent management in terms of sustainable tourism. Amongst which is the phenomena of the Dead Sea, where you can float without any effort. Also, the fantastic deserts of Wadi Rum, where the mythical Lawrence of Arabia hid during the Arab Revolt, not to mention the magnificent coral reefs of Aqaba, in the Red Sea. 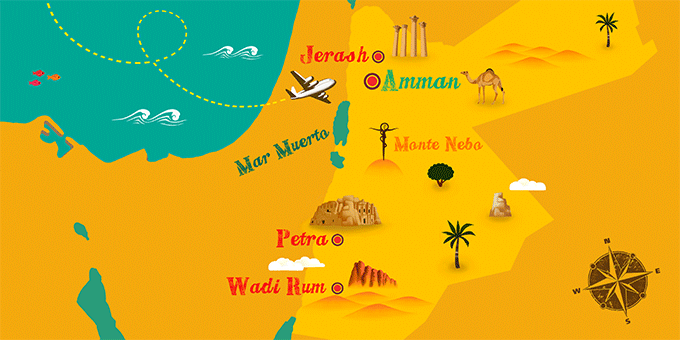 No package tour to Jordan should miss any of these sights.